Ohio has been making headlines recently. I was in town last month for my very first time and I can't believe how little publicity Columbus is getting, lifestyle-wise. 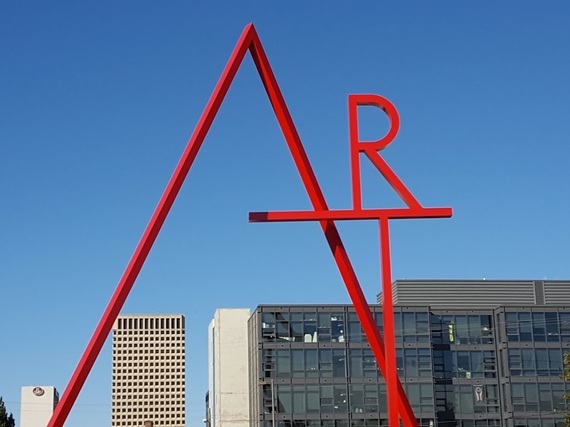 Columbus, Ohio is a college town, but you probably knew that already. What you DON'T KNOW, is how lovely this little gem of a city is! Columbus is a total foodie destination (trust me on this), which has gone under the radar for far too long. 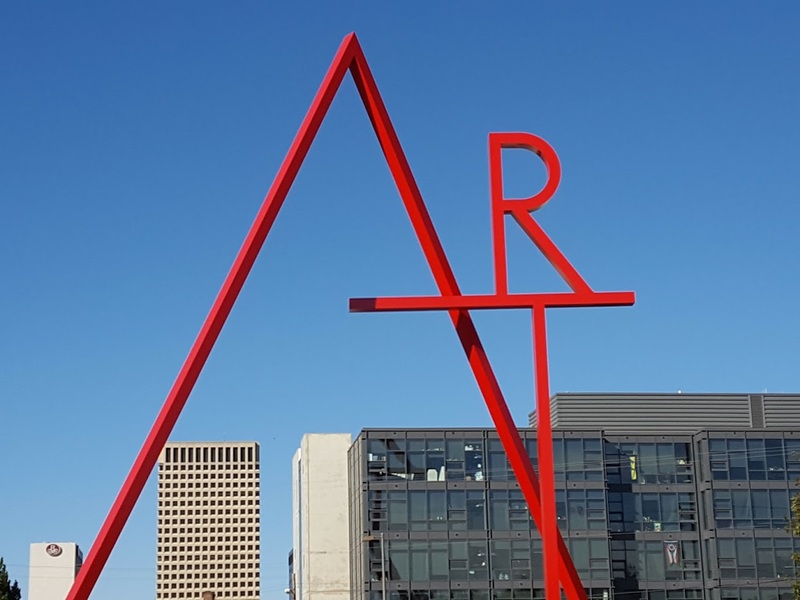 It also has incredibly vibrant arts scene and is a shopping mecca (most of the major fashion labels are headquartered here), and home to one of the most beautiful neighbourhoods in America, The German Village, according to the New York Times. Who knew? 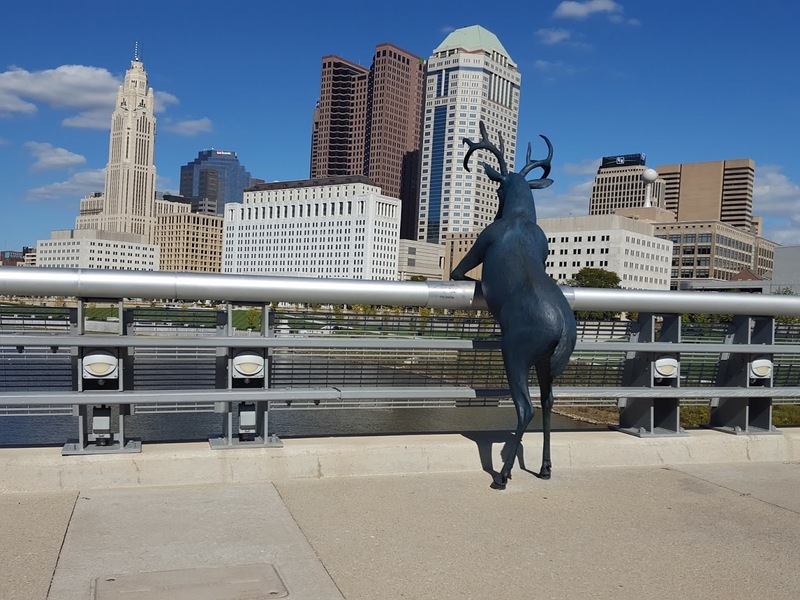 Whether you're headed to Ohio for a business trip or are simply looking for a weekend getaway, here's a list of what to see, what to do, and where to stay. Go for a run or a brisk walk along Scioto Mile, a riverfront park located downtown. A plethora of joggers head there at every hour of the day and night. Looking for something novel? Take an aerial movements class with trapeze artist Mickey Thomas, in an underground warehouse which houses 101 artist studios. You're in for a surprisingly fun yet hard (core) workout. Head over to Yoga on High (as in High street, in the core of downtown) and just drop in at any time. The schedule is updated frequently with classes and workshops on their website. They also put on numerous events. Head over to Zest Cold Pressed Juice Co. for a healthy refresher and pick me up. 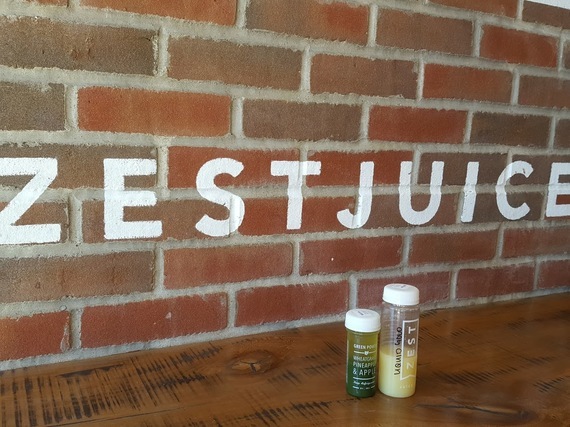 They offer raw fare, wellness shots, smoothies and cold pressed juices. Native Cold Pressed uses locally sourced ingredients and has a strong community focus. They hold an uber popular yoga brunch every other month that is. Not to be missed! Dates are listed on their website. 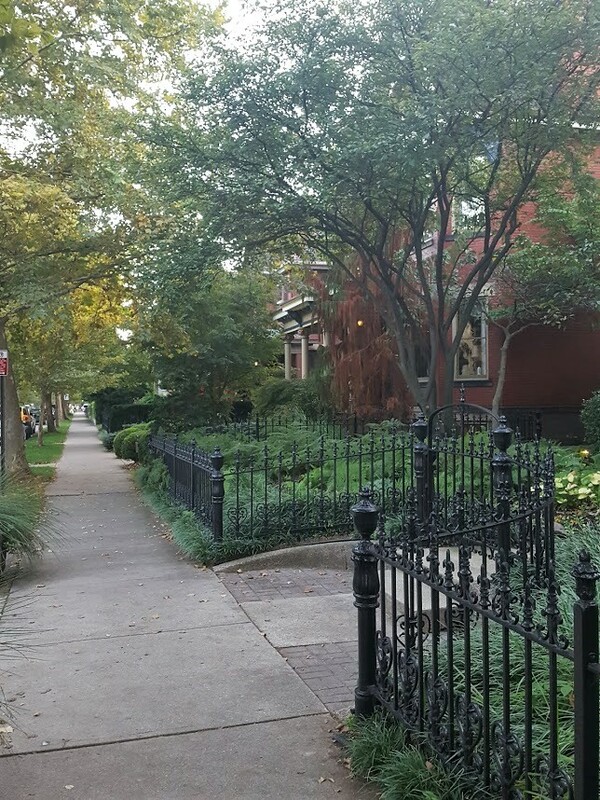 Explore the German Village by foot during the day. Stay for an apéro to admire the sun set over the cozy historic red brick facades... The German Village should be the focus of your trip. This eloquent 233-acre historic enclave in Columbus's south end was settled by German immigrants in the mid-19th century. Think brick-lined streets, lovely small gardens, cast iron fences, mature trees and breweries. Unparalleled in beauty. Visit Mukha Custom Cosmetics & Medi-Spa. Here's why: internationally renowned make-up artist, Tim Maurer's cosmetics are 100% mineral and free of oil, drying alcohol, artificial colorings, dyes or preservatives. Book an appointment with Tim for a custom color palette and let him show you how to do your own make up in less than 5 minutes. 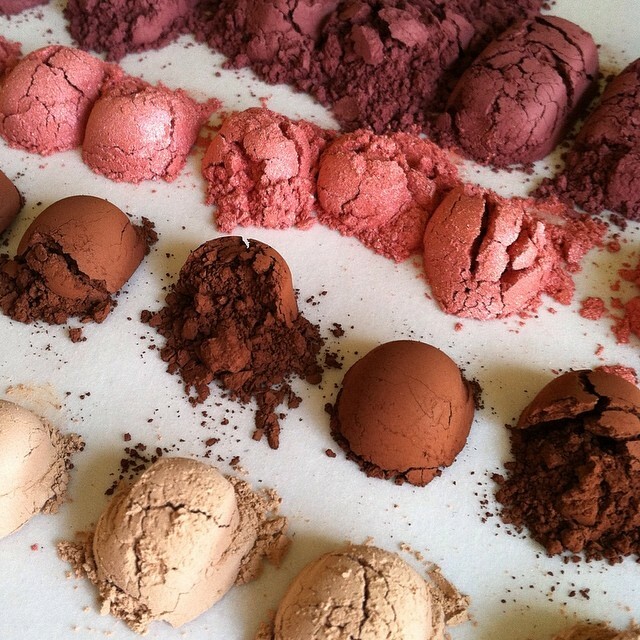 If you don't have time for a consultation, make sure you stock up on some phenomenal eye shadows, blushes and bronzers. Worth it. Head over to the super hip Brothers Drake Meadery & Bar, an urban producer of wines made from honey. Enjoy an Apple Pie, a combination of local fresh apple cider and Ohio wildflower honey, often combined with award-winning OYO whiskey, also a local delicacy. Local bands on a regular basis. Farm to table dining is more than just a fad in Ohio. Farmers' markets abound, just like organic health food stores and organic craft beer. A major foodie city, it is almost impossible to have a bad meal while eating out. 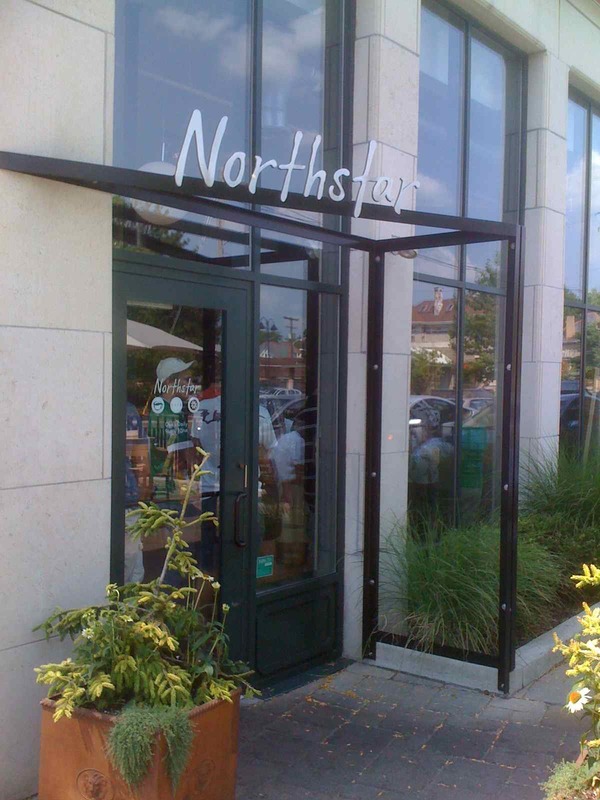 The Northstar Café serves some organic grub and uses locally grown ingredients. Wholesome bowls and salads. They also have a great cocktail list. Their most popular items include the Shooting Star (carrot, ginger, orange, lemon) and the Buddha bowl. Cozy. The Banana Leaf restaurant is a highly popular and an all-vegetarian & vegan Indian joint. Low-key, will appeal to those who want to eat well while on a budget. 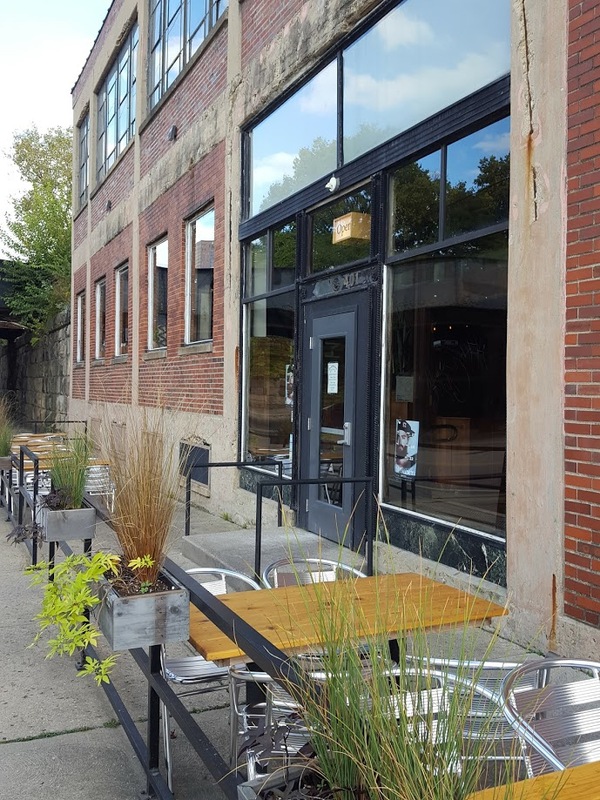 The Angry Baker has something for everyone with tons of vegan and gluten-free options available. No less than three locations have spawned across the city. 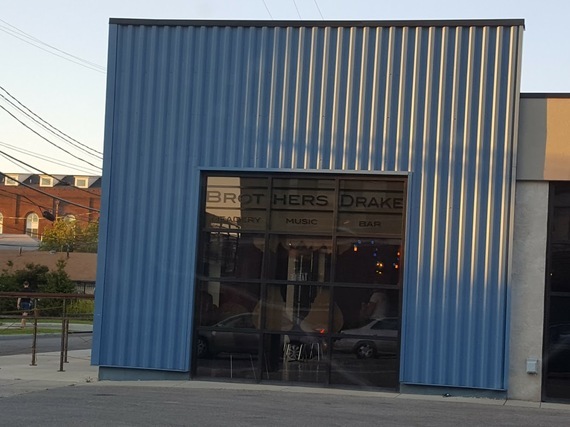 They use as many local Ohio products as possible. 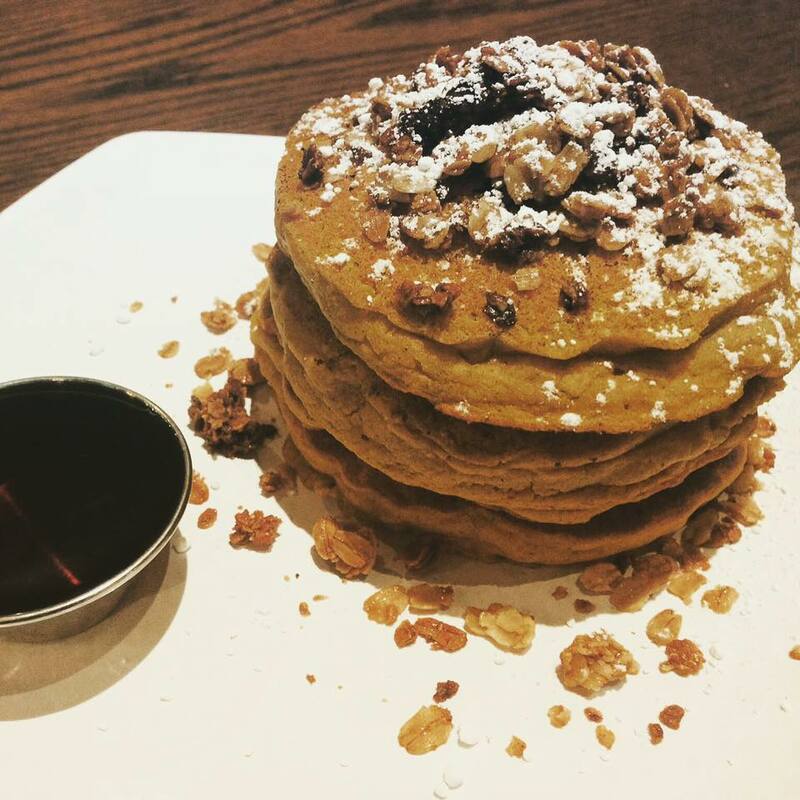 People are raving about their pumpkin oat pancakes (as seen below), French toast sandwich, fork & knife burrito and superfood salad. Open for breakfast & lunch. Charming décor to boot! 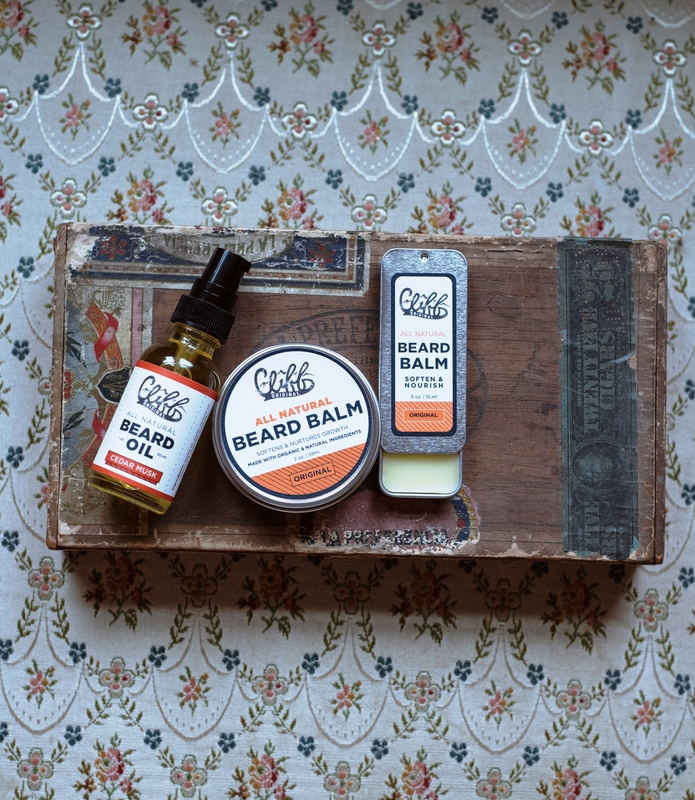 Cliff Original is an all-natural, farm to grooming label proudly made in Columbus, OH. The line was inspired by the owner's Grandfather who was passionate about his farmland & community. The ingredients are 100% natural and their utility was brick (4 different scents are available), a goat milk based soap, is highly popular and is meant to be used from head to toe! Cool factor: Cliff Original is Hotel LeVeque's toiletry supplier. Keep an eye on Celeste Malvar-Stewart, a local artisan, designer and artist. Her haute couture creations are remarkable and sell for a steal. In her atelier, at Hangar 391, Celeste stays mindful of the environmental impact of each piece at all stages of its life cycle and uses salvaged fine vintage fabrics, wool from local farmers and concocts natural dyes herself. Every piece is unique. Designs for the daring and eco-minded woman. You like hip neighbourhoods and plush surroundings at a fair price? 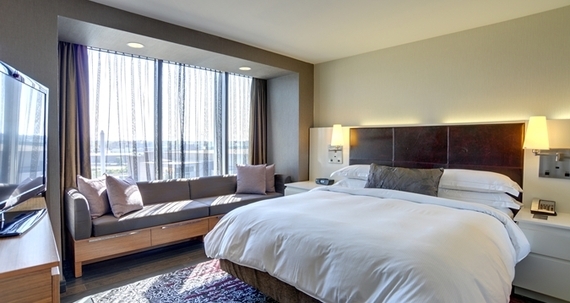 The Hilton Columbus Downtown has it all: "The $140 million convention center hotel features a large atrium in the lobby with skylights to give an indoor-outdoor feel. As part of the Hilton brand's commitment to sustainability, the property is designed to attain both LEED and Green Seal certifications". Comfort and modern amenities under the same roof, on top of giving you a clear conscience. That's what so great about Ohio: it is so affordable! It would be unthinkable to stay in downtown Chicago for less than $200 a night in a 4-star contemporary hotel. Looking for a quaint B&B in the heart of the Victorian Village (pictured below) and a stay that includes fair trade coffee and an organic breakfast? 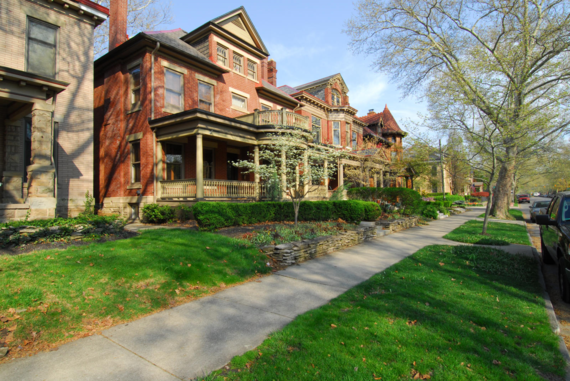 We've got you covered with Neil Avenue Bed & Breakfast. Even the coffee cream www.snowvillecreamery.com/ is locally sourced and delicious! Allergy free options, fragrance and dye free soap to boot! 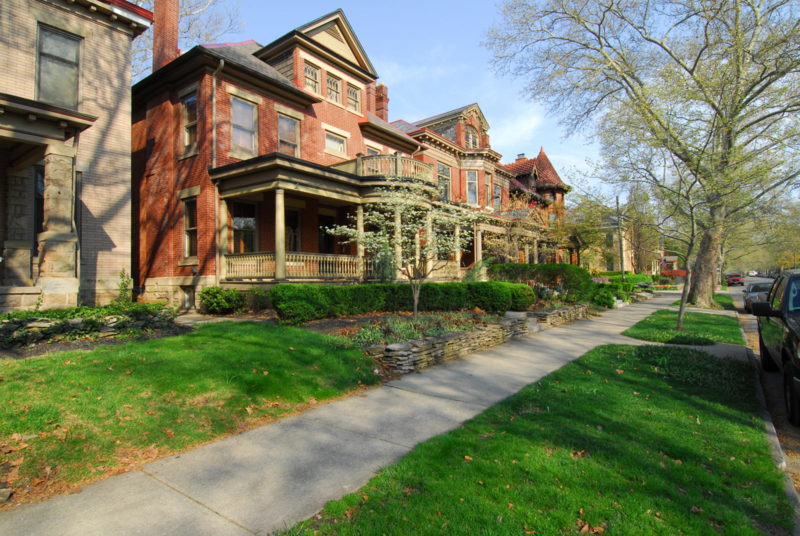 This 1893 mansions is also green cleaned. LGBT-friendly.